To be precise, 4.2 grams equals a teaspoon, but the nutrition facts round it to four grams. How much sugar is in a chocolate bar? Chocolate bar. With high sugar content, chocolate should always be viewed as an occasional treat. Breakfast cereal in a bowl cookie crisp are said to contain 87 and a half times more sugar than Shredded Wheat. 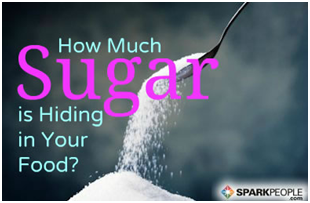 How much sugar do cakes and desserts contain? Carrot CakeA medium slice of carrot cake contains approximately 3 teaspoons of sugar. 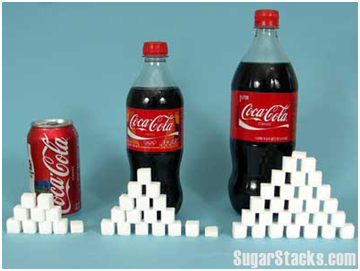 How much sugar does fruit contain? 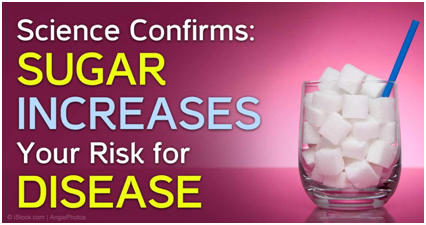 Fruits contain fructose, a type of sugar. Fresh fruit have no "added sugar", but as you can see below, their levels of sugar range from 1 teaspoon per 100 grams in cranberries to 4 teaspoons in grapes. Tomatoes - 0.7 teaspoons of sugar.